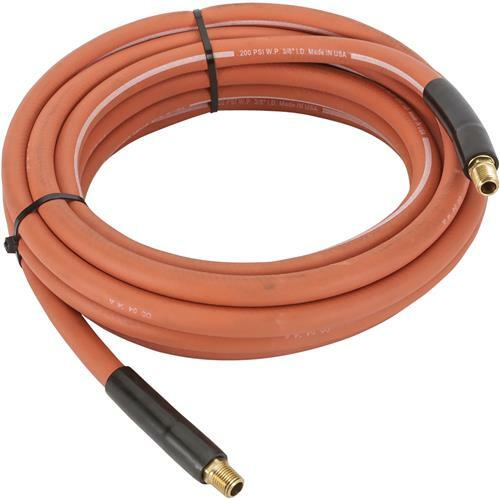 Multi-purpose rubber air hose is flexible and abrasion resistant. Rated for 200 PSI, this air hose has a bursting strength of 800 PSI. 1/4" NPT ends. Made in U.S.A.